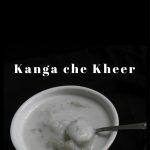 Kanga che Kheer is a yummy pudding from Goa. Needless to say that it was enjoyed to the last drop. 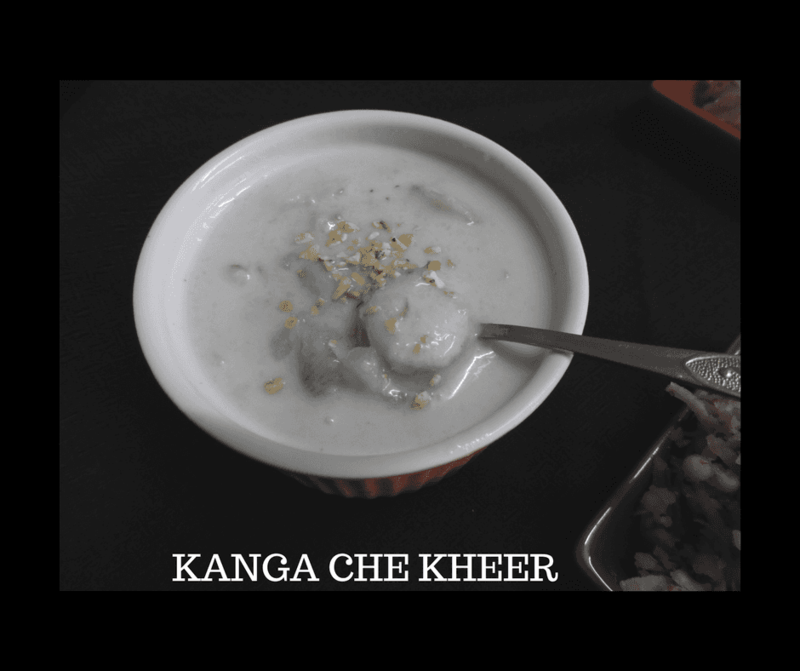 This Kheer with Sweet Potato is made with coconut milk and is totally Vegan. Since this root vegetable is sweet the amount of sweetener you need to add is minimal. Sweet potato has a soft, creamy texture. Sweet potato is a nutritious alternative to potato in sweet and savoury dishes. Sweet potatoes are high in vitamin A, B5, B6, and riboflavin. Sweet potatoes also contain very little fat and markedly lower calorie content than potatoes. However, they do contain more sugar. It is also an antioxidant and is thus highly recommended for anti-ageing. It has also shown cancer-prevention benefits. They are ideal for a Diabetic Diet and make an ideal addition to the Simple and Healthy Vegetarian Diet. 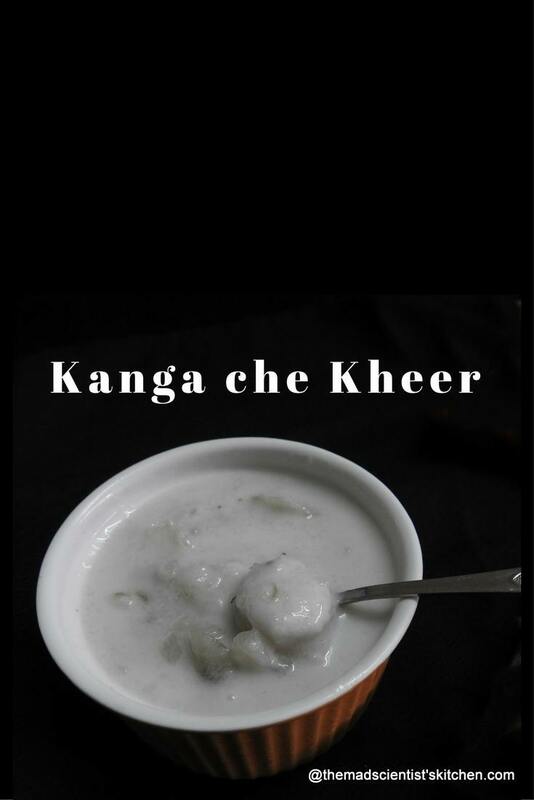 It is also a delicious addition to a fasting food so it’s used for Vraat ka Khana. Sweet Potato can be made into Sweets like this Sweet Chips, Sweet Potato Pound Cake, make savoury Kanga che Nevri (traditionally these are made sweet but I have made them spicy), Sweet Potato Chaat. A yummy pudding from Goa with coconut milk and is totally Vegan! Soak the rice in ½ cup water for about half an hour. Grind the rice in a coarse powder. In a thick bottomed pan cook the rice till it cooked stirring continuously. Add the drained sweet potato and add the thin coconut milk. Stir well. Cook covered till the sweet potato is cooked. Add the thick coconut milk, elichi/cardamom powder, and sugar, salt. Let it boil for 2 minutes. Cover and set aside.